Floor Anthoni is an independent marine naturalist who studies and observes the marine environment around New Zealand. 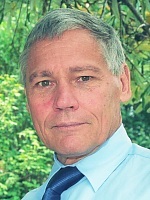 Fully committed to saving our seas, he has become a prominent and well informed voice in the marine reserves debate. As our waters are enriched by eroding soils, sea life is dying, writes Floor anthoni. Blindly creating more marine reserves will not solve the problem: many of our existing marine reserves are unsustainable. New Zealand's coasts are dangerously depleted and marine reserves are doing little to help. A frequent diver, I have taken the camera down under water for over 30 years. By 1985 it became evident to me we were losing sea life so fast that serious trouble was inevitable. In 1990 I took the major step of establishing a marine education centre in Leigh, and have subsequently spent all my time and resources pursuing answers to the question: why are we losing so much so fast? This has taken me outside the conventional line of thinking. The world no longer looks as it did in the 1960s. We must play a different game. If you are unaware of this, you will do the wrong things for the wrong reasons at the wrong time. Guess what we are doing now? Why are we losing so much so fast? The marine reserves idea was to be very simple: set fully protected areas aside, make them large enough and over time these will turn into paradises. This is entirely true in places such as the Kermadec Islands where apart from fishing no other threats remain . However, around mainland New Zealand there is practically no place where no other threats are found. The main threat is from our soils as they degrade and wash into the sea, complete with their unused fertility. In a triple stupidity, we are losing our precious soils, our seas and our beaches - all of which belong to our children. Much of our coasts have become aquatic badlands in the sea, degrading from year to year. Anything that degrades, is unsustainable. So, in the meantime we have created 16 marine reserves of which at least 12 are unsustainable. They are useless for research, education, recreation and for the environment. Do we really need more of these? NZ soils are unique deep clays formed under slowly metabolising forests. These clays are sensitive to erosion. We have converted forests to pasture and, in the hill country, we have overdone it. After 50-100 years of pastoral farming, such soils have arrived at a stage of rapid loss of fertility, depending on slope. To make matters worse, a previous government abolished the subsidy on fertiliser (1986). The subsequent decline in fertiliser application led to loss of cover in the most problematic soils. Now the climate is changing as well, and we are experiencing intensive rain storms, not known before. Add to that the work of diggers and bulldozers and a burgeoning population and you have a recipe for a dark future of unprecedented disasters caused by mass mortalities, disease and recruitment failures in the sea. How does soil loss cause these problems? Blind as can be, our Government has taken the initiative with a Biodiversity Strategy which considers marine reserves the only solution, even though biodiversity is about viable populations of all species (not necessarily unexploited ones). Reserves do not protect unfished species, nor migratory ones, and for the few others it provides populations which are too small. Alarmed by fisheries collapses, the champions for marine reserves have painted a rosy picture that defies reality and misleads the public about what reserves actually deliver . Their propaganda is characterised by words such as could and can and may, while certainty eludes. To make matters worse, protagonists claim that no-take reserves provide insurance against fisheries collapses, while providing more fish than are lost by closure of fishing areas to create the reserve. But even their own evidence points clearly to the observable fact that marine reserves do not work in murky waters. There exists no compelling reason to have 10% of the sea in marine reserves because 30% of the land is protected . To say so exposes ignorance about the sea. It is plainly wrong to bring parts of the sea under the management of ideological landlubbers with very little knowledge or experience of the sea. The Marine Reserves Bill 2002 is seriously flawed. But it is worse to hasten an ill-conceived and ad-hoc process for political reasons at a time when an Oceans Policy is in the making. There exists no defensible reason to hurry along with marine reserves that will not work. What is happening now is no less than malicious. In order to get it right we have to stop what we are doing wrong. The main threat to our coastal waters comes from the land in the form of sewage, farm runoff, mud from erosion, farm chemicals, fertilisers and biocides. it threatens all species, fished and unfished, and it threatens their offspring even more. Our coastal seas are deteriorating so fast that no marine reserve can work here any longer. The diagram shows three situations with water quality degrading from blue on left to brown on right. The loss of clarity is caused by both mud and phytoplankton, but it seems not to matter which. Overal 'visibility' or 'viz' as divers call it, appears to be the measure. In clear water the light penetrates deep, resulting in a deep and varied plant zone. Beneath it, where sunlight is too weak for the stalked kelp, begins the reign of filterfeeders like sponges. These thrive in clear water and are easily suffocated by mud cakes, diatom strings and 'snot', also a product of plankton. 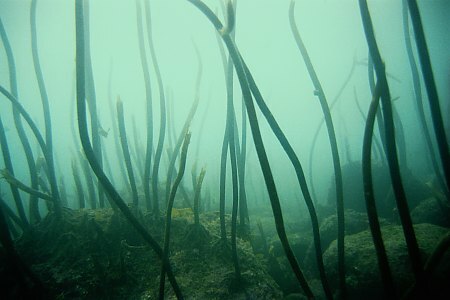 As the water deteriorates, the depth of the kelp bed reduces while sponges disappear. The third diagram shows a narrow band of seaweed surviving with very few sponges growing underneath. Unfortunately, much of the Hauraki gulf is like this. The main point to remember, is that marine reserves do not protect against this kind of degradation. During the spring of 1992, plankton blooms in the Hauraki Gulf and outside were so dense that they obscured the light necessary for plants to grow. By December 1992 the leaves of these kelp plants (Ecklonia radiata) felt like brown wet toiletpaper, disintegrating when touched. It was no surprise that Cyclone Ola in the first week of 1993, tore all their canopies off, never to be found. Within six months all stalks and traces were gone too. This ecological disaster had repercussions lasting for over ten years. 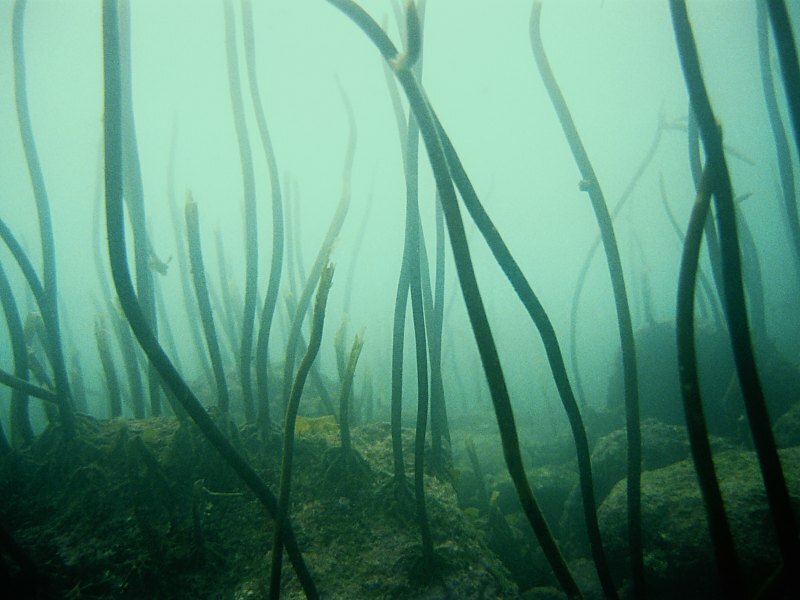 Plankton blooms darken and kill the important kelp forest on the sea bed. Space limits answers but you can visit www.seafriends.org.nz which exists to answer these questions from a scientific and entirely reliable background. www.seafriends.org.nz/issues/res/kermadec/ a virtual visit to the Kermadec Islands. Many images. www.seafriends.org.nz/issues/cons/myths.htm Myths and fallacies exposed or how easy it is to make a fool of oneself. www.seafriends.org.nz/issues/cons/faq.htm Frequently Asked Questions with honest answers, exposing myths - a must read. Scientists working on the Great Barrier Reef in Australia are now recognising the threat from mud. Read Undersea graveyard disappoints Great Barrier Reef tourists, reproduced on the Seafriends web site.